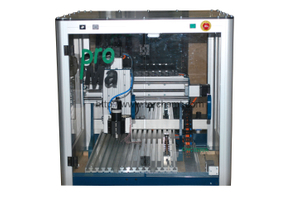 CNC3200A series ：specially suit for making precision double side of PCB; standard configure automatic replace tool system. 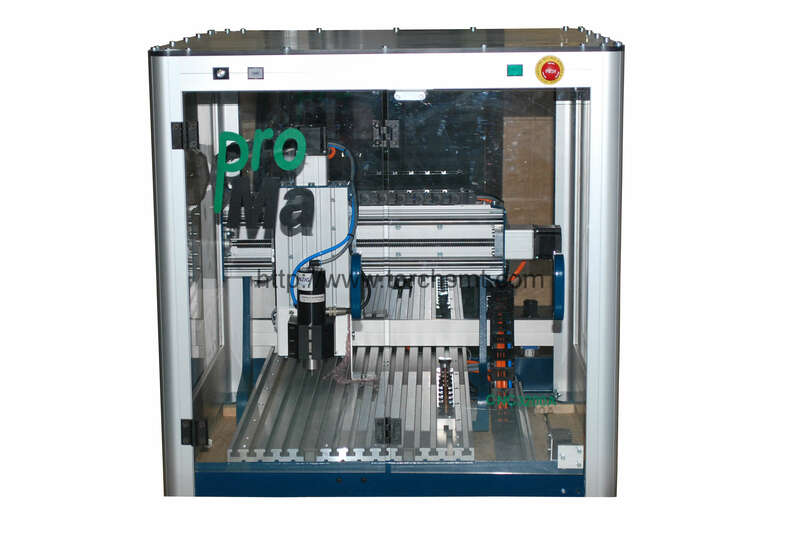 Standard configure Germany precision screw and three axis controller with high precision step motor; control the X Y Z axis precision ,high repeated precision, make sure error is less than 1mil when repeated making PCB. A. advanced ：suit for double side PCB ,can engrave ,drill, cut the PCB. B. effective ： it takes only several minute to finish one PCB. C. high precision ：Standard configure Germany precision screw and three axis controller with high precision step motor; control the X Y Z axis precision to make sure the high precision. 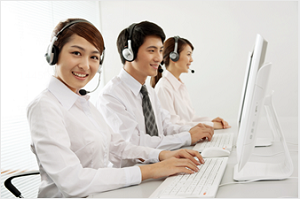 D. convenient ：software installation is easy and suit for variety PCB. E. confidential ：no need outsourcing processing ,lab can finish the whole process . F. software is powerful, convenience and fast, have memories for processing, can continue to work when interrupt at any process. H. standard configure tool cooling system, can prolong the lifetime of the tool, also can improve the precision. I. Carving process can remove the excess of copper all laid or remove the copper on the line, remain the excess copper, saving time and improve the effective. J. multi-function transfer software is suit for variety PCB design software. K standard configure automatic replace tool system, can automatically replace 9 pcs tools, can extend to 18 pc tools(optional). L. Configuration sound insulation dust cover, and safety device, can make sure the safety of operator when working. 8、Spindle speed:10000-60000RPM Infinitely adjustable, spindle power:200W,can up to 250W. 10、automatically replace tools,9 pcs tools, 3mm-3.175mm handle ,can add to max 36pcs tools ,automatically install card. 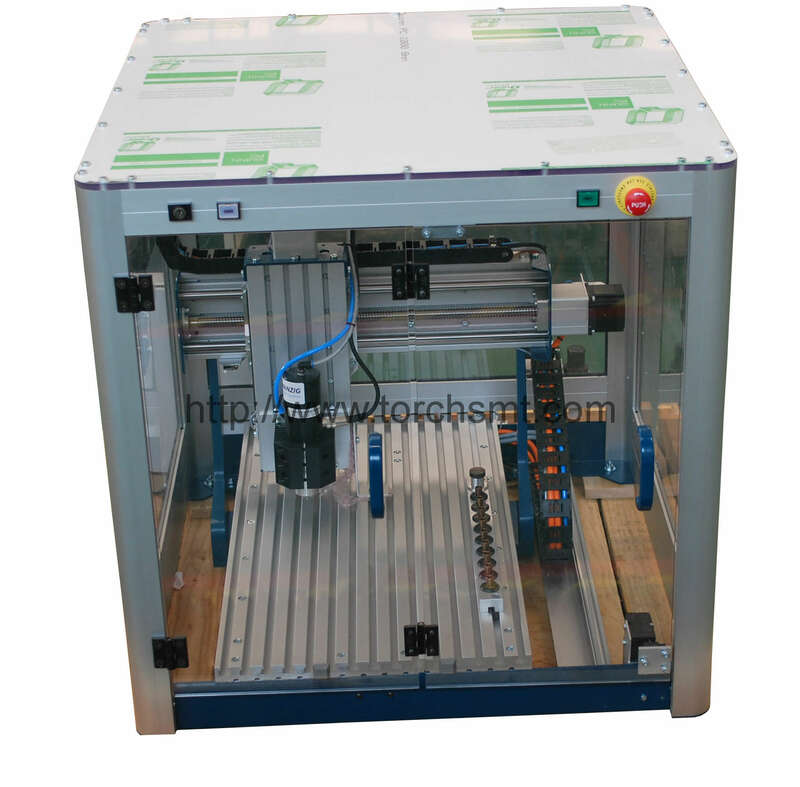 12、Transmission way: standard configure Germany precision screw and three axis controller with high precision step motor，Pneumatic tools chuck, fabrics hood. 13、Flatness compensation: the flatness of PCB make sure the precision. 14、lighting device : with lighting device ,convenient to view the engraving process. 15、Dust collection device : professional dust collection device to make sure internal cleaness ,which continent to view the engraving process . can use with vacuum worktable (optional). 16、software: with professional automatic tool, multiaxial engraving software, easy to input NCP, PLT, DIN 66025 format. 17、with protective cover, can view at 360 angel ,also with safety switch to make sure the operator’safety. 20、Handheld magnifying glass: magnification 40 times, with mm scale and lighting . 21、special air pump: with 30L air cans, max air pressure is 8 bar, air flow is 100 L/min.